Trying for a baby? Well, there are several do’s and don’ts that you need to follow if you are aiming to get pregnant. While there are many couples who face difficulties in conceiving, it is important to have a concrete idea on how to get pregnant without any hitches. 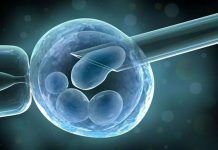 Although you might think that you do not have some infertility problems, but there are a few underlying issues which contribute to your infertility problem. Most couples do not understand the importance of the down-listed things. However, the below factors do contribute to a large extent in conceiving. Hence follow them to the fullest. No one is immune from stress. Every pregnant women goes through stress whether they are at home or at the workplace. Getting away from stress in today’s life is almost next to impossible. However, there is a way-out to get rid of stress and that is to resort to fitness exercises and doing yoga once in a day. Do you know on which days you are fertile? If not, then you should start keep track of your fertile days. You should know that your fertile days falls in the middle of your last period and the first day of your period. During these days you need to take utmost care of yourself. If you do not eat properly, then the chances of fertility drops. Therefore, you should pay attention to your diet. If you eat properly, then the chances of fertility go high. For fast pregnancy, your health physician might advise you to take folic acid. Alongside your diet, you should take supplements of vitamins, iron and protein. These supplements are needed to increase your fertility rate at a faster rate. It is important that you must get daily in touch with your doctor the moment you know that you are pregnant.Your doctor is the best person to know your condition and of your baby they will track your blood pressure, heart-beat and each and every other essential information that can benefit you to have a healthy baby. You might come across few of the indications like dizziness, vaginal bleeding, less fetal movements, pain in chest, stomach pain, inflammation, muscles faintness, and enlarged pelvic pressure in such conditions visiting a doctor is a must. The below listed things should be definitely avoided if you are pregnant. Some women are of opinion that a fitness program can be started after they become pregnant. You should be in perfect shape in the early period of your pregnancy. You should know that a baby’s health is connected to a mother’s health. Hence, you should not delay in starting your fitness regime. If earlier you had a habit of smoking, then you should quit as soon as possible. Too much of caffeine intake is not good for women. Reduce caffeine-related beverages. Do not get involved in your fitness regime too much. Do not over strain your body when you are doing exercise. In your pre-pregnancy stage, you should make a regular habit of walking, swimming and jogging. You can also opt for working out on the elliptical machine. Choose cardio exercises to keep your heart healthy during pregnancy. Having cardio exercises will keep your heath and mind healthy before and after pregnancy. Do not use weighty weights or bumping movementsparticularlyat the time of the third trimester. Hormones during the third trimester make your body suppler and weight lifting at this time can put too much pressure on muscles, tendons, and bones making you furtherprone to injury. Do not let your body temperature to go as Fahrenheit. When you work out make sure you do in air conditioned environments don’t sweat much and keep yourself cool while training at all times. Usually, you must keep your heart rate low per minute. However, for few of the pregnant women this might be high and for some it can be low.